In the smartphone world it doesn’t take long for handsets to become old tech wise and get quickly passed by newer more powerful devices. 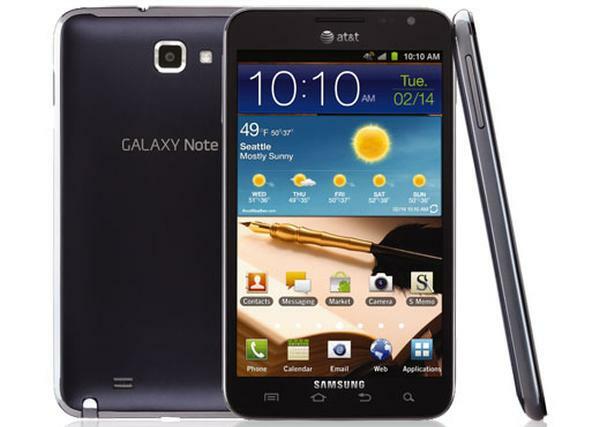 Luckily manufactures often provide new firmware that breathes a new lease of life into the devices, and we now have news that the AT&T Samsung Galaxy Note is down to get the Android 4.1.2 Jelly Bean update that should be arriving now. The US carrier has revealed it is due to begin pushing out the new software for the SGH-I717 Galaxy Note from today, and like any new Android update it is likely to see a staggered rollout with not all users getting access straight away. This new firmware will see the device updated from Android 4.0 Ice Cream Sandwich to Android 4.1 Jelly Bean, and will bring some great new features to the smartphone. Users can manually check for the availability of the new firmware by going to the main settings option on the handset before selecting About device and software update. Another option is connecting the handset to the Samsung KIES desktop application and some of the main new features that owners are being treated to include the popular Multi-View option, Page Buddy, Google Now, new notifications bar, 2 home screen modes, Project Butter, and much more. So keep an eye out for the new software and let us know when your example of the handset receives the update and tell us how it went, and the software support page can be found here. I keep reading that the 4.1.2 update for the SGH-I717 came with the Multi-view functionality, and unfortunately that is simply not true. I’ve updated my phone to 4.1.2 and no Multi-view in sight. There is something called Pop-up Window, which I guess is supposed to act the same as Multi-view, but to be honest I haven’t even found how to turn that on. The new keyboard is absolutely horrible. I like the layout, however, there is no spelling correction!! If you misspell a word the correct spelling shows in a list of possible words, but hitting the spacebar does not insert the correct spelling. What’s the point?! Punctuation works well. I’ve also found that the different lock screen options don’t work. Regardless of the method you select, you still have to swipe to open. Huge security issue there. I’ve contacted Samsung about all of the issues I’ve mentioned here (and more) but have not received a response. Battery life with 4.1.2 is worse than ICS.